Cleaning is one of those things we all hate to do but we’ve all got to do it! That’s life! 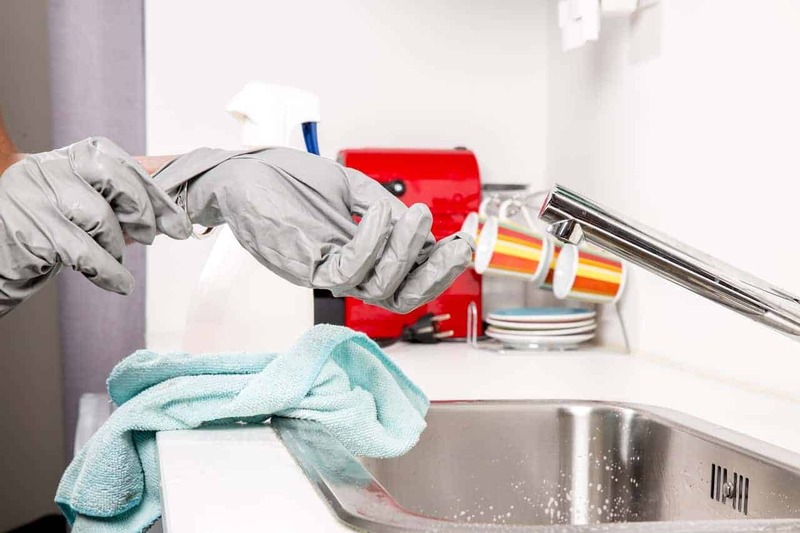 Thankfully there are plenty of cleaning hacks everyone should know that will make those tedious jobs a whole lot quicker! I am always on the hunt for new ideas to incorporate into my own home cleaning processes, to save me time and effort. Most of these time saving cleaning ideas are so ridiculously simple, yet they save us a load of time every single week! We’ve got some expert bloggers bringing you some of their best cleaning hacks to simplify your life and get the job done quicker. 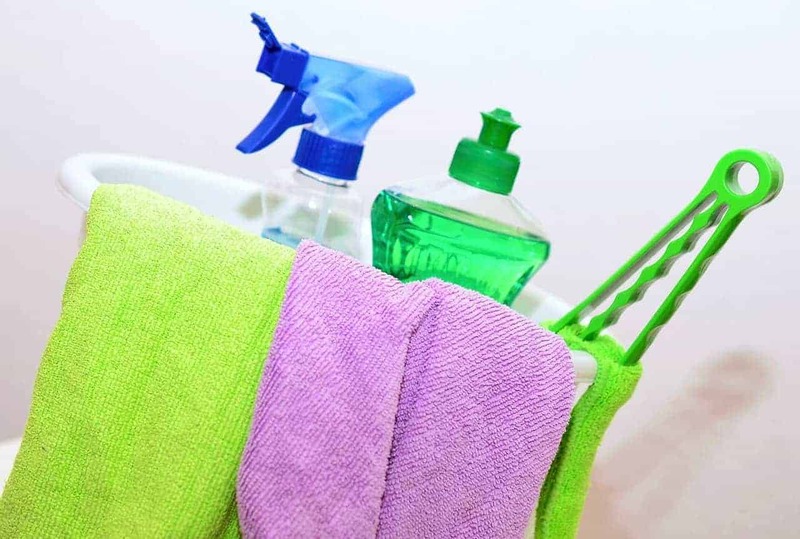 Find out what little hacks they incorporate into their home cleaning process to make life easier! One of my favourite cleaning hacks is to use the humble lint roller to clean all manner of things around the home: don’t limit yourself to clothes! A lint roller has the advantage of being very sticky and also very cheap to buy. Their adhesive surface will pick up very light things that can otherwise be difficult to get hold of. Examples include glitter on the floor (how does that stuff get quite so everywhere after the kids have been doing a craft project?! ), pet hair, dust – especially when it’s in tricky places like the top of your bedstead (especially if it’s material) or your lampshades and dust and dirt on the interiors of your car and sofas. So next time you’re trying to figure out how to clean dust off something, remember: lint roller! As a busy mum of 2 young children who constantly drop food or drink on the floor and all the other mess that comes with children, it can be hard to find time to keep the floors clean. That was until recently when we bought a spray mop. If you have never heard of a spray mop before, they are a lightweight, compact mop that makes cleaning easy and quick. Simply fill the tank with cleaning liquid and you’re ready to go. Pull the trigger during cleaning and a cleaning solution will spray out into the path of the mop to help you clean. No need for buckets of water. Just spray, mop and you’re done. It has been such a time saver in my house and I wish I knew about them a long time ago. I can now spot mop when needed or just do one room at a time quickly when I have a couple of minutes spare. Even better it sprays a fine mist that dries quickly, meaning you can almost walk on the floor immediately and I don’t need to worry about my children slipping over on wet tiles. Win Win!! Keeping the kitchen area and cook-top clean throughout the week can seem to be a dreadful task. With this timesaving cleaning hack I’m able to keep my kitchen pretty much clean and neat every single day. I have a spray bottle with vinegar-water solution handy in my kitchen. While cooking on my glass cook-top, oil splatters and makes the surface sticky and dirty. Once I finish cooking, I always make it a point to just wipe clean the counter and cook-top with this spray solution. The more time dirt and oil stays, the harder it gets to clean. Thorough cleaning can be reserved for later, but this hack just cleans the surfaces in a jiffy. Mix one part distilled white vinegar with one part tap water and store it. Whenever spills and splatters happen, just spray the mix and wipe clean with a paper towel or kitchen cloth. This can literally save your time and energy. I love the fact that the vinegar-water mix is free of toxic chemicals and safe to use in the kitchen. This natural formula has been used for ages and it works like a charm. I am sure that all of us at one time or the other has secretly dreamt of having a robot do our housework. Fortunately, this reality is getting closer and closer as technology evolves. Two household tasks that utilize the technology available; thus saving you time when doing household chores are robot mops and robot vacuums. No one really likes mopping their floor – the buckets of water or the wringing of the mop. It is one of those labour intensive chores we detest. Our favourite robot mop is the iRobot Braava jet 240 robot mop. It mops and sweeps both hardwood floor and tile floors. Are you prepared to make vacuuming your home a thing of the past? Then we recommend a robot vacuum. Our favourite brand is the Roomba. You have budget options such as the Roomba 690. If you want a really hands off cleaning experience and you have money to spare go for the Roomba i7+. 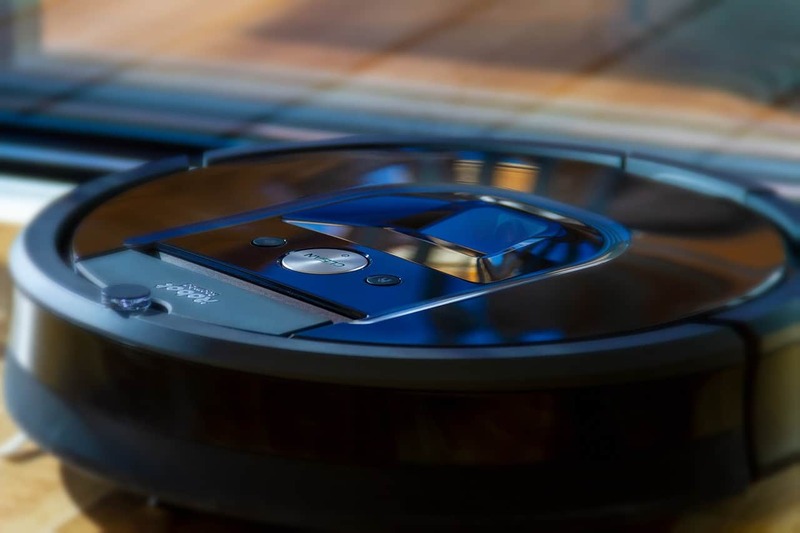 This Roomba will not only save you time by automatically vacuuming your home when programmed to do so, but it will actually empty its dust bin and resume cleaning. You can’t get more hands off than that! I find keeping on top of clutter and only allowing the things we actually to remain in our home use drastically reduces the time I spend cleaning. This is especially true in the kitchen which has become a dropzone in our small house. I was spending a lot of time moving items around without really thinking about how we use them. As our tiny kitchen doesn’t have a pantry I have to be ruthless with kitchen clutter, getting rid of multiples (muffin trays etc), our soup pot (as we use the slow cooker for soup) and the excess utensils has made such a difference. 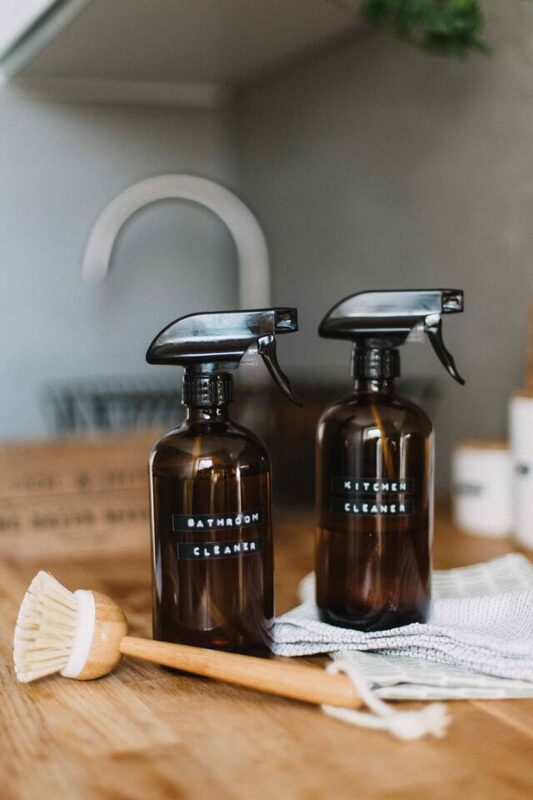 Now my kitchen cleaning routine is mainly spraying and wiping – keeping the counters clutter free makes them super easy to clean in just a few minutes. It might sound contradictory, but my time-saving cleaning hack is to clean more often! Hear me out on this one… I just do 20 minutes worth of cleaning each day, and then I don’t have a mountain of cleaning to tackle at the end of the week! I made myself a little cleaning schedule and stuck it on the fridge. The list includes tasks that rotate each day of the week, and each task is small and only takes a few minutes… like dusting a room, washing sinks and toilets, or doing a quick vacuum. Then, I give myself 20 minutes each day to do that days tasks. My cleaning schedule has been weekend game-changer. Instead of setting aside huge chunks of time to catch up on the mess that has built up throughout the week, our family has more time for fun! I love the look of handwoven baskets. Not only are they beautiful, but they are a great way to keep your home organised in a simple way. Using baskets to store items (instead of drawers, shelves, boxes, and furniture), can really take a chunk of cleaning time out of your day! Sort things like kid’s toys, books, to-do items, electronics, and stationary into its own basket. When it comes time to pick up, simply toss whatever it is into its proper basket and you’re done. The basket method really comes in handy in the kid’s room. I keep blocks in one, trains in one, animals in one, etc. The kids can help me pick up toys quickly and easily. Our baskets stay on the floor (since we don’t use furniture), but they can be put on shelves as well. My cleaning and tidying hack is simply to remind my child to pick up one or two of his stray items from the floor when he is on his way from one room to another. For example his discarded socks can be grabbed and dropped in the laundry basket in the hall while he is on his way to his room. His books and toys can be picked up from the floor in the living room and taken back to his room to be put back in the right place. This is great because it doesn’t feel like a chore for him, it can be done on his way. As it creates a good habit and a shared sense of responsibility, in the long run this will save me more and more time! I’d suggest getting kids started with this as early as possible, it should ensure all the cleaning and tidying in the home is not seen to be one person’s responsibility, but for us all to share. It should benefit the kids with building up a good habits that prevents mess building up as they grow older. This will really help them in their adult life too! A great tip when cleaning the bottom base of the oven or avoid cleaning it is to line the base with a piece of foil or a clean oven sheet before using. This keeps the bottom base spotless without having to scrub. All the drips will fall directly to the foil or oven sheet and not to the bottom base. If you’re someone who uses the oven all the time, you exactly know how difficult it is to clean the base especially when the grease or residue has dried and/or stuck there for even a couple of hours. This hack will reduce your time cleaning the bottom base or even avoid you from cleaning it. Most people hate cleaning their oven- they can be difficult to clean, and take a lot of time and effort. When we upgraded our oven, we purchased a pyrolytic self-cleaning oven. When I use the self-cleaning function, sometimes smoke billows out of my oven (caused by fat heating to high temperatures) and around our home. This sets off the smoke alarm, and it isn’t healthy breathing in the smoke! Now when my oven needs a deep clean, I prefer to clean it myself using a mixture of baking soda and vinegar. First I remove all the oven racks and leave them to soak in a bathtub filled with hot water and dishwashing liquid. I make a paste out of baking soda and vinegar, and then rub it all over the oven including the glass door (but not on the heating elements). I leave the mixture to do its magic for a couple of hours. Use a wet cloth to wipe the oven, removing all grease, food and stains, and the baking soda mixture. Finally, I remove the racks from the bathtub and give them a wipe down with a wet cloth- everything comes off the racks easily, leaving them clean and ready to put back in the oven. Thankfully, when it came to sorting out household chores between us, my husband got stuck with ‘bin duty’ and taking out the rubbish – a task I have done my best to avoid at all costs. However, as I do most of the kitchen cleaning, I was always left to clean up afterwards. The juices. The drippy bin juices that seem to leak out no matter what and pool in the bottom of the bin. Instead, we now use a newspaper trick. We line the bottom of the bin with newspaper to catch all these juices and simply roll it up and add it to the rubbish on bin night. No more bin juices for me! I am quite lazy when it comes to cleaning the kids toys. If I see a blanket or a teddy that is looking a bit grubby, I am all too quick to chuck him in the wash. But all the plastic toys we have (and we have A LOT) is a little overwhelming. I discovered this neat trick in mothers’ group. You can actually put all your plastics through the dishwasher. So simple and so easy! We do it with everything, but it is the most handy when it comes to Duplo. I simply put it in a zip up laundry bag and chuck it in. Comes out bright and sparkly and ready for more play. Much easier than the handwashing (that I conveniently never got around to). Check out some of my personal favourite hacks and cleaning tips to save time and simplify my life! What is your best cleaning hack everyone should know? Let’s hear them! Stand on an old towel when mopping. Shuffle around and dry as you go.